The Scenic Eclipse fleet is now setting an unparalleled benchmark in design, innovation and luxury. From the ethereal beauty of the Arctic to Antarctica and everywhere in between, ocean cruising has never felt like this. Scenic is delighted to announce that our soon-to-launch 6-star Scenic Eclipse, will be joined by a sister ship. Launching in 2020, her debut sailing season will include the European and Russian Arctic, a region of diverse wildlife and habitat, well suited to discovery by our fleet of 6-star luxury meets expedition ships. Scenic Founder and Chairman, Glen Moroney said the debut of a new ship in the Scenic Eclipse fleet will not only allow Scenic to expand our offering and pioneer new destinations, such as the Russian Arctic, it will also allow us to continue our passion for innovation in design and handcrafted itineraries. Explore Antarctica in depth, from the summoning Peninsula and South Georgia’s unsurpassed biodiversity, to the intrigue of the Falkland Islands. 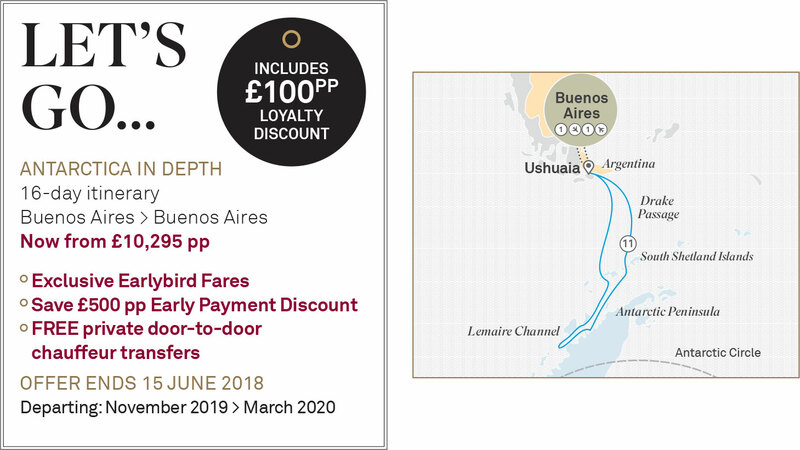 — Travel to Earth's southernmost continent in all-inclusive luxury on board Scenic Eclipse, the World’s First Discovery Yachts. 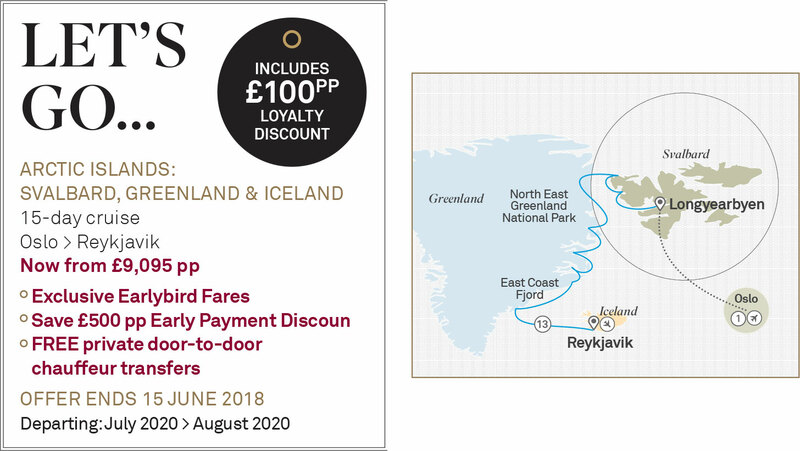 Explore the Arctic Islands of Greenland and Iceland, cruise around Spitsbergen and the Svalbard archipelago, venture into Russia and the White Sea or cruise the remote coastline of Atlantic Canada. With our expert Discovery Team, you’ll have the opportunity to witness polar bears, walruses, whales, sea birds and marine life while learning about the intriguing history, culture and the environment. Head Discovery Team Leader Kara Weller introduces Scenic Eclipse guests to the wonders of Antarctica. Kara is a qualified wildlife biologist who after 12 years on land, has spent the past 20 years showing cruise passengers the many highlights of these outstanding regions. “The polar regions are to me the most precious places on our earth and I want people to care about them as much as I do and to fight to protect them".